If you’re like me, you want to keep Christmas magical. My own parents always told me the truth about Santa, so I actually never grew up believing in Santa. I do things differently with my own kids though, and I love to see how my own children look forward to seeing Santa. Their imaginations are fueled with the tales of his reindeer and how he climbs into everyone’s chimneys on Christmas Eve night. They love making a list and baking his favorite Christmas cookies. In our house, it happens to be peanut butter blossoms. He eats them right up! 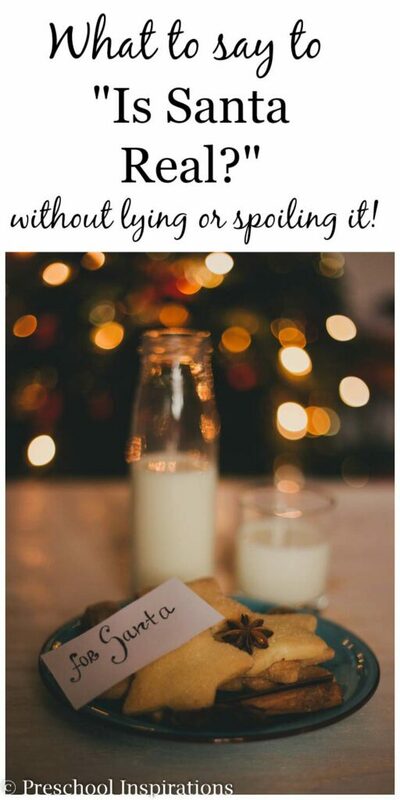 At the same time, I don’t want my children to look back and feel betrayed because I lied to them about who Santa Clause was when they finally asked me about him. I want my children to feel that they can come to me and I’ll be honest when they are looking for the truth. 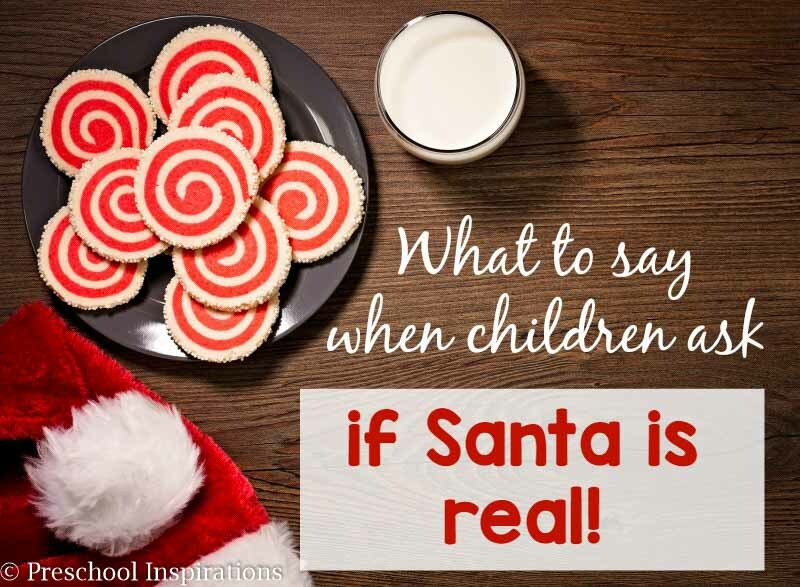 What to Say When Children Ask if Santa is Real! I think I am extra sensitive about the subject because I was the child who ruined Christmas for other children…and it was completely by accident. Remember how I said that I never grew up knowing about Santa. Well, I did not even know that other children thought differently. I thought everyone was just pretending Santa was real. Boy, was I wrong! Imagine my horror when I found out that other children actually believed in Santa! Since that day I’ve vowed to make up for it, and my career as a preschool teacher gave me lots of opportunities to talk to children about jolly old Saint Nick and stick to that promise. I mostly heard it from children with older siblings, or kids who befriended older kids. Whenever that question came out, I froze up. I fumbled around, thinking about how I used to be that child who unintentionally spoiled Christmas for other children. What if I said the wrong answer and ruined everything (again)? I couldn’t do that! Then my own children started asking me about Santa. It got really tricky because they knew the story of St. Nicholas, but it seemed like they were trying to convince us that Santa was definitely real. After doing a bunch of research and asking around my trusted parent friends, I finally found an answer to this uncomfortable question. The best part is that this answer keeps Santa magical, and there is no lying involved. It seemed to me that when children ask if Santa is real, it is a time when they are starting to decide for themselves what the truth is. They are gathering all the facts, and now they have some questions. This is the time to start helping children put the pieces together. Maybe they’ve thought of the logistics and can’t quite figure out how he can get into everyone’s house, especially houses without chimneys. 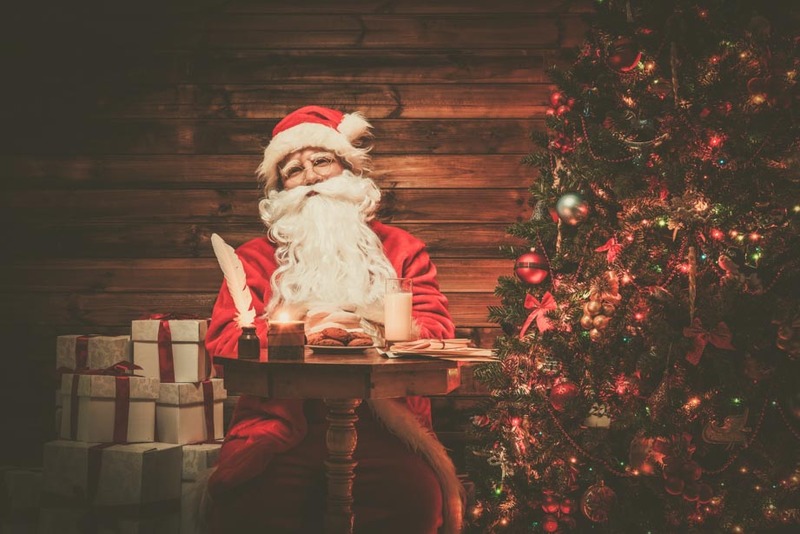 When our own children asked if Santa is real, we responded with this simple question. Then we did something else really important too. We became active listeners. Ultimately, I want to follow my children’s lead, and their answers give us the clues we need to talk about Santa. Our daughter felt this way last year, but now she sees things a little differently. She still enjoys all of the Santa outings that we do, but she is noticing some inconsistencies. She has mentioned that Santa has flying reindeer. I’ve used that as an opportunity to sprinkle some more truth. “What animals can you think of that fly?” I replied. Then we talked about all of the flying animals we knew. Reindeer didn’t end up in the list. The other night we were headed to a restaurant, and we unexpectedly saw Santa as we pulled up. My daughter squealed with delight when she spotted him. Mom, that’s not Santa. He has the wrong beard. I just nodded and giggled. Thanks, Danielle! I love hearing that you do something similar too!